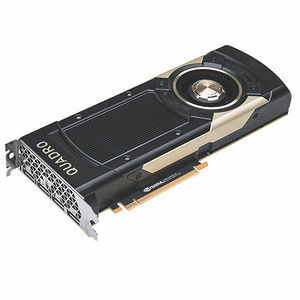 The NVIDIA Quadro® GV100 is reinventing the workstation to meet the demands of AI-enhanced design and visualization workflows. It’s powered by NVDIA Volta, delivering the extreme memory capacity, scalability, and performance that designers, architects, and scientists need to create, build, and solve the impossible. All Quadro cards are certified with a broad range ofprofessional applications, tested by leading workstationmanufacturers, and backed by a global team of supportspecialists to give you the peace of mind to focus on doingyour best work.